Long Beach, Calif. – April 6, 2014 – Formula DRIFT presented by GoPro kicked-off the first event of the 2014 season with Round 1: Streets of Long Beach to a sold out crowd. Chris Forsberg in the Hankook Tire Nissan 370 Z takes the victory and the lead in the chase for the championship. 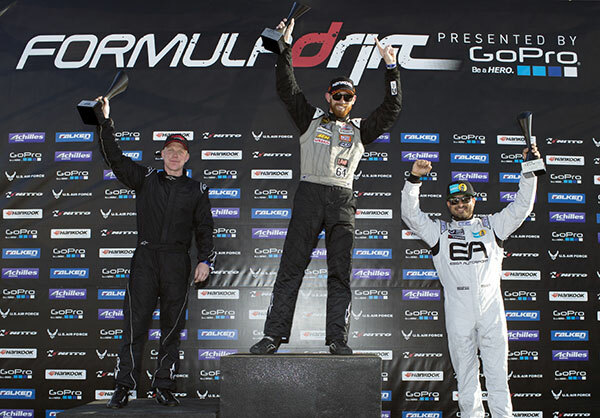 Round 1: Streets of Long Beach started off the eleventh season of Formula DRIFT to a sell out crowd. Over 20,000 fans gathered to experience the drifting action and excitement on the famous Streets of Long Beach Grand Prix course. The Dailymotion Livestream partnership saw over 230,000 unique viewers watch the Driftstream over the event weekend with over 1 million views in a 24 hour period. 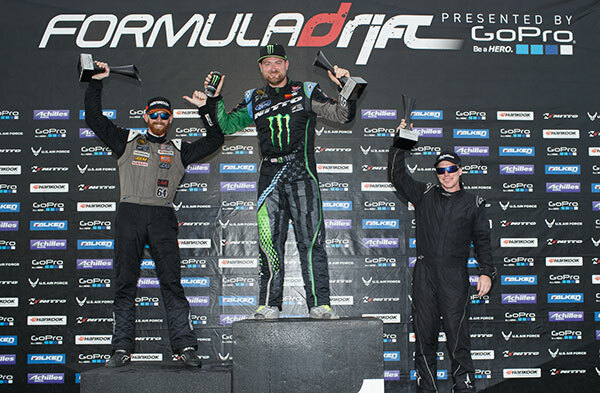 Consistent driving helped propel Chris Forsberg to the top of the podium to earn the season’s first victory and championship points lead. Forsberg faced Norway’s Kenny Moen in the Bridges Racing Nissan 240SX in the final battle and after a close decision the judges awarded Forsberg the win. The top qualifier and 2013 defending champion, Michael Essa in the Essa Autosport / Yokohama Tire BMW M3 rounded out the podium with third place.